On a soggy, rainy Saturday afternoon in which the Quinnipiac Bobcats (12-23, 5-8 MAAC) were supposed to play a doubleheader against the St. Peter’s Peacocks (0-21, 0-10 MAAC), only one game was played. However, that didn’t stop the Bobcats from routing the Peacocks by a final score of 13-1 as they tallied their first victory since April 14. Meanwhile, St. Peter’s remains winless this season, as they’ve been out-scored by their opponents 43-8 in their last three matches. In the bottom of the first inning, second baseman Ryan Nelson got the hitting started for the Bobcats, and they never looked back. From there, Quinnipiac drew first blood as third baseman Joseph Burns knocked in the game’s first run of the day, bringing in Nelson for one of his two RBI’s of the afternoon. Shortstop Matthew Batten drove in another run in the early stages to extend the lead to two, and right fielder Liam Scafariello ripped one to left-center field, bringing home two additional runs for a 4-0 lead. The Bobcats tacked on a sacrifice fly run to establish an early 5-0 lead by the end of the first inning. The Peacocks had their eyes on the prize to get on scoreboard down early, but center fielder Mike Palladino had different plans as he snatched an acrobatic diving catch, much to the delight of the Quinnipiac players and coaches. The Bobcat bench was further delighted the rest of the game as they were favored in hits 15 to seven, errors three to one and stolen bases five to one. Starting pitcher Chris Enns put the team and himself into a difficult bases-loaded situation in the top of the sixth inning with no outs, while clinging to a 7-0 lead. A Peacock player’s hit to deep left field presented the opportunity for a sacrifice fly, but left fielder Brian Moskley fired the ball into the infield to prevent the third base runner from scoring. St. Peter’s designated hitter Jose Martinez finally drove home the Peacock’s first tally of the game, due to the one and only Quinnipiac error to make it 7-1. 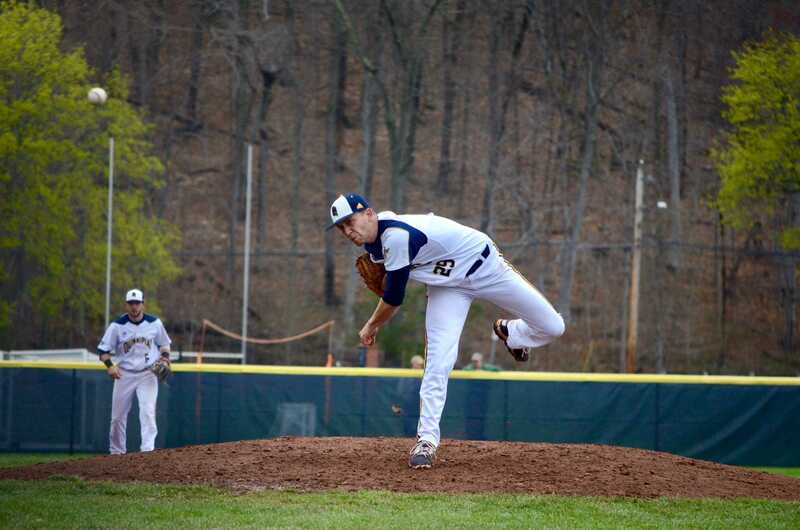 Enns escaped the jam and held the Peacocks to just one run with a big strikeout against St. Peter’s freshman Brian Turton, along with a pop-out. Enns finished up his seven-inning pitching afternoon with one run allowed on seven hits and six strikeouts, tossing a total of 98 pitches. As the Peacocks’ head coach Danny Rodriguez made two new pitching changes towards the later stages of the game, two homeruns were registered for the Bobcats. While Nelson knocked out a two-run homerun in the bottom of the seventh, Scafariello ripped a no-brainer shot to left field in the bottom of the eighth for his team-leading 13th homerun of the season. Although Enns had a three-hour delay prior to his first pitch, he was able to follow through with his game plan. Head coach John Delaney is setting a clear and concise mindset for the team as they move forward in the series. Delaney reflected on Enn’s performance not only in this game, but also throughout the team’s season. Delaney and the team strongly believe that they have the capability to make a serious run for the MAAC regular season championship. 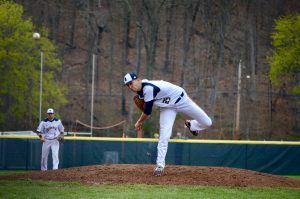 Quinnipiac baseball will conclude their series against the St. Peter’s Peacocks tomorrow with a doubleheader beginning at noon, and game two scheduled for 3 p.m.